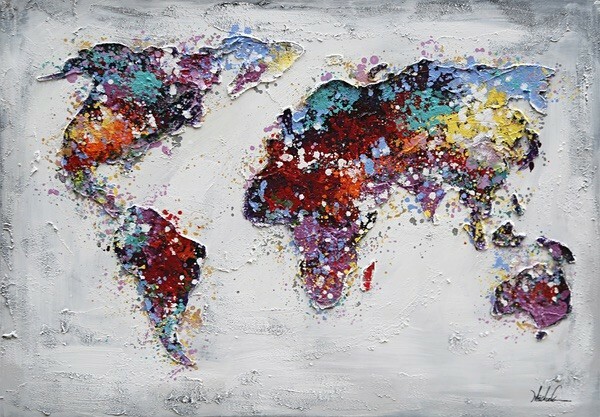 Art Storehouse has a wide selection of paintings of world maps. Do you love to travel and discover the world? Then you have come to the right place! 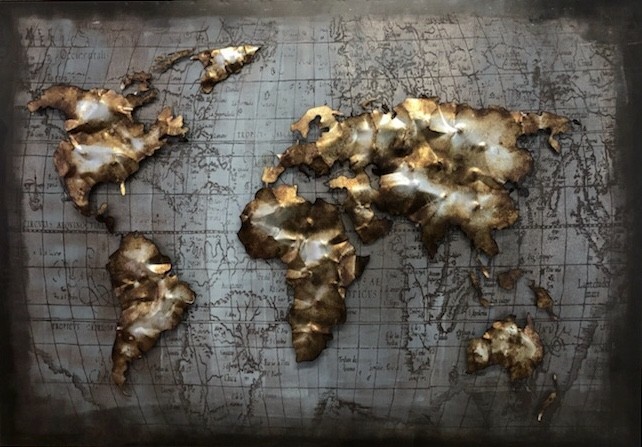 Here we have collected works of art with world maps in many different styles and motifs. 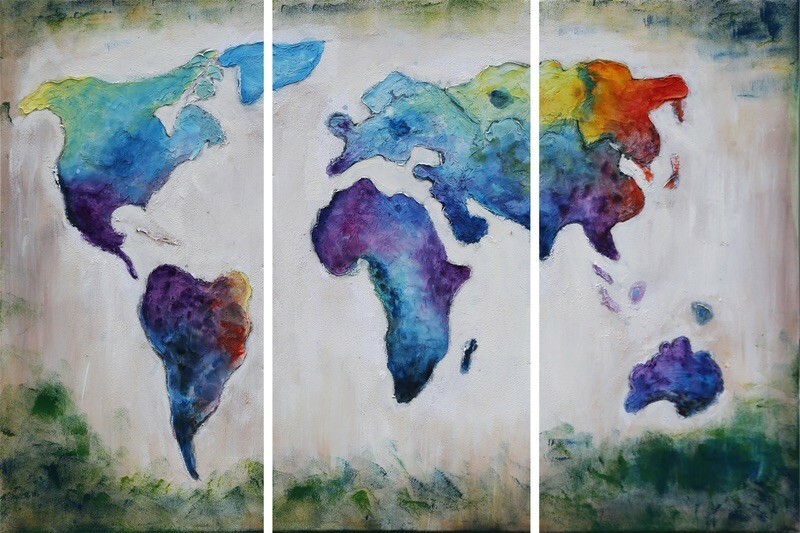 Choose your favorite from oil paintings, acrylic paintings and aquarelles – all sure to put an international touch on your home! We also carry a large selection of canvas prints, photo art and posters with different motifs. 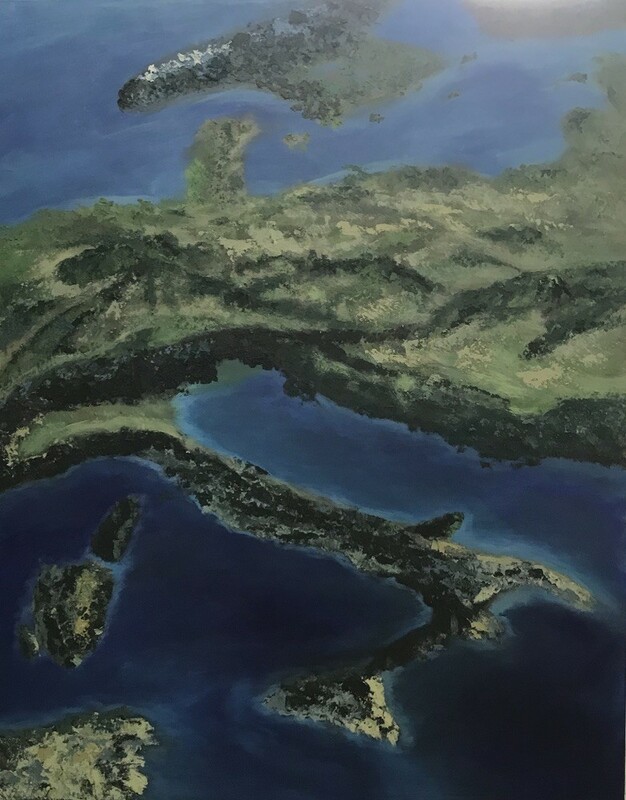 Buy paintings online to an affordable price with quick delivery. Among our many posters you’ll find stylish motifs of wold maps. Pick your favorite and lift the walls of your home in no time.